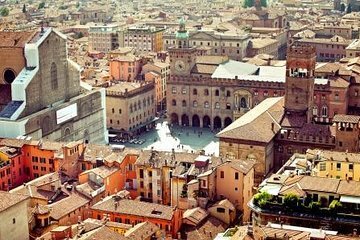 Uncover a side of Bologna history that many visitors don’t see on this unique walking tour, led by a private guide. The 2.5-hour tour puts the spotlight on the city’s former bordellos and brothels, which were legal right up until the 1950s. Stroll through neighborhoods such as Fregatette and the streets around Via Delle Oche, and hear the stories of medieval madams who worked in some of the city’s most secretive houses. See a different side of Bologna! What a great tour. The guide Giacomo was very knowledgable and obviously proud of his city. He tied in the old seedy, secret part of the history, with the social, religious and scientific development of the city. It was truely worthwhile paying for the private tour. It is impossible to submit a review of this tour. We booked two tours for the day, but the guide did not turn up for our first tour, the Classical Bologna tour, and when we called the company they said they had no record of our booking for the morning tour, just the afternoon tour. When the guide turned up for the afternoon tour he basically gave us the morning tour. Which although excellent was cut short. So having paid for 6 hours worth of tours, we ended up with about 2 1/2 hours. Viator was very prompt in refunding our money for the tour which never eventuated. We have used Viator extensively and have never encountered a problem before, so it was pleasing to discover when an issue occurs the refund was prompt.